Is Booking Holdings Inc. (BKNG) A Good Stock To Buy? There are several ways to beat the market, and investing in small-cap stocks has historically been one of them. We like to improve the odds of beating the market further by examining what famous hedge fund operators such as Carl Icahn and George Soros think. Those hedge fund operators make billions of dollars each year by hiring the best and the brightest to do research on stocks, including small-cap stocks that big brokerage houses simply don’t cover. Because of Carl Icahn and other elite funds’ exemplary historical records, we pay attention to their small-cap picks. In this article, we use hedge fund filing data to analyze Booking Holdings Inc. (NASDAQ:BKNG). Is Booking Holdings Inc. (NASDAQ:BKNG) a buy right now? Investors who are in the know are taking a bearish view. The number of long hedge fund bets dropped by 2 in recent months. Our calculations also showed that BKNG isn’t among the (30 most popular stocks among hedge funds). BKNG was in 68 hedge funds’ portfolios at the end of September. 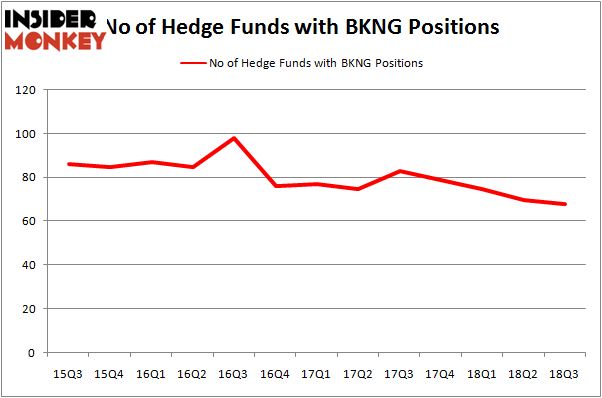 There were 70 hedge funds in our database with BKNG holdings at the end of the previous quarter. “Booking (formerly Priceline) shares advanced 20% for the quarter as the company reported strong fourth quarter earnings results well ahead of expectations. For the fourth quarter, worldwide accommodation reservations were up 17% year-over-year, exceeding the high-end of guidance, gross bookings increased 19% year-over-year, gross profit was up 22% year-over-year, and EBITDA increased 23% year-over-year to $1.1 billion. These results capped a strong year in which room nights grew by 21%, and, despite significant investments in marketing, product development and market expansion during the year, EBITDA grew by 18%, and non-GAAP EPS by 17%,. These results were substantially ahead of the cautious guidance the company had given following its 3Q17 report (which prompted a sell-off in the shares last fall). Our readers will be interested to know that company director James M. Guyette was responsible for the last major insider purchase of the company’s common stock, snapping up 142 shares at no cost. The shares are currently trading at $1,739.52 as of this writing, therefore it was a lucrative purchase indeed for the executive. How have hedgies been trading Booking Holdings Inc. (NASDAQ:BKNG)? At Q3’s end, a total of 68 of the hedge funds tracked by Insider Monkey were long this stock, a change of -3% from the second quarter of 2018. The graph below displays the number of hedge funds with a bullish position in BKNG over the last 13 quarters. So, let’s check out which hedge funds were among the top holders of the stock and which hedge funds were making big moves. The largest stake in Booking Holdings Inc. (NASDAQ:BKNG) was held by Tiger Global Management LLC, which reported holding $1311.6 million worth of stock at the end of September. It was followed by Citadel Investment Group with a $980.9 million position. Other investors bullish on the company included D E Shaw, AQR Capital Management, and Soroban Capital Partners. Seeing as Booking Holdings Inc. (NASDAQ:BKNG) has experienced bearish sentiment from the smart money, we can see that there lies a certain “tier” of funds that decided to sell off their full holdings heading into Q3. Intriguingly, Stephen Mandel’s Lone Pine Capital said goodbye to the largest position of the “upper crust” of funds tracked by Insider Monkey, totaling close to $1076.5 million in stock. John Armitage’s fund, Egerton Capital Limited, also sold off its stock, about $335.4 million worth. These transactions are interesting, as total hedge fund interest fell by 2 funds heading into Q3. Let’s also examine hedge fund activity in other stocks similar to Booking Holdings Inc. (NASDAQ:BKNG). These stocks are Equinor ASA (NYSE:EQNR), Lowe’s Companies, Inc. (NYSE:LOW), American Express Company (NYSE:AXP), and Caterpillar Inc. (NYSE:CAT). This group of stocks’ market valuations matches BKNG’s market valuation. As you can see these stocks had an average of 45.5 hedge funds with bullish positions and the average amount invested in these stocks was $7010 million. That figure was $6498 million in BKNG’s case. Caterpillar Inc. (NYSE:CAT) is the most popular stock in this table. On the other hand Equinor ASA (NYSE:EQNR) is the least popular one with only 12 bullish hedge fund positions. Compared to these stocks Booking Holdings Inc. (NASDAQ:BKNG) is more popular among hedge funds. Considering that hedge funds are fond of this stock in relation to its market cap peers, it may be a good idea to analyze it in detail and potentially include it in your portfolio. Should You Buy The Cooper Companies, Inc. (COO)? Should You Buy Genomic Health, Inc. (GHDX)? Hedge Funds Are Selling EnerSys (ENS) Is Federal Signal Corporation (FSS) A Good Stock To Buy? Should You Buy The Hanover Insurance Group, Inc. (THG)? 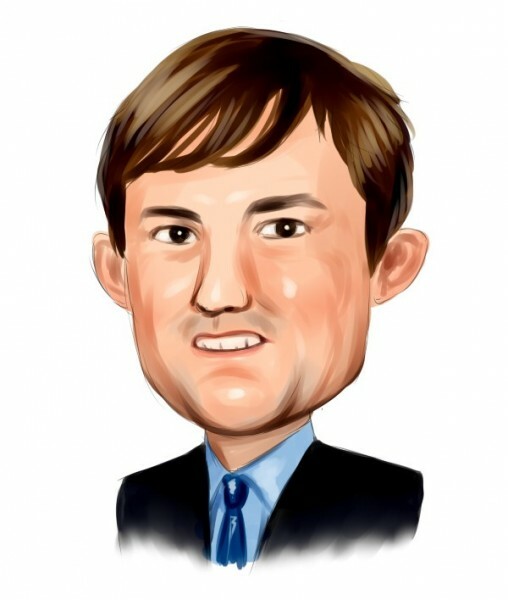 Is Ferro Corporation (FOE) Going to Burn These Hedge Funds?